Isometric drawing is a method for representing a three-dimensional object in two dimensions with vertical lines drawn vertically, and the horizontal lines are drawn at 30 degrees to the base. In isometric drawing, the lines parallel to these three axes are drawn in their actual scale, but lines that are not parallel to these axes will not be drawn in actual scale. Isometric view of an object can be produced by viewing the object from such a direction that the angles between the projection of the x, y, and z planes are equal to 120°. 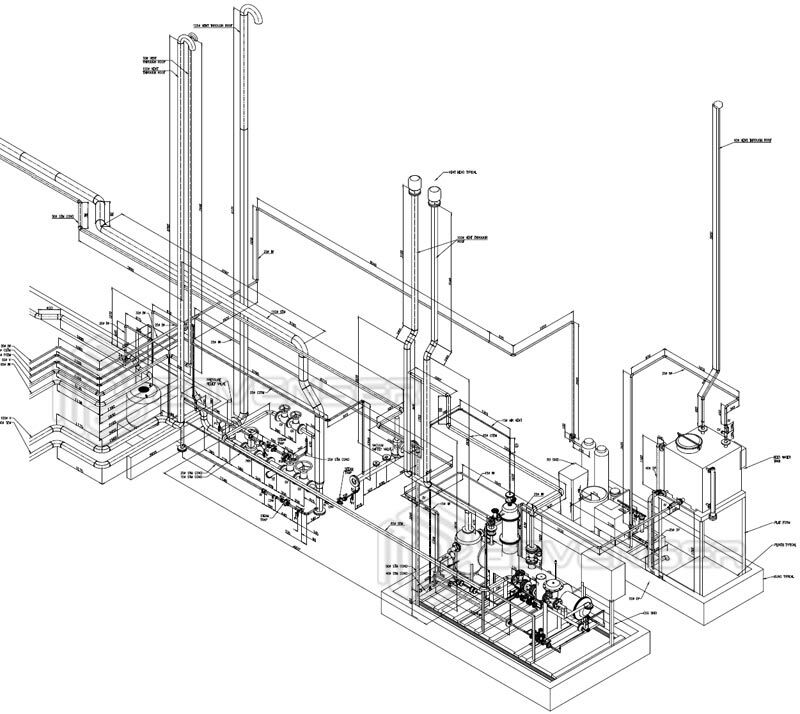 Our mechanical services include 2D drafting and detailing, GD and T, 3D modeling, Reverse engineering, Shop and fabrication drawings, patent drawings, Isometric drawings, as built drawings, mark-up detailing, parametric drawing, assembly drawings, mechanical shop drawing, mechanical cad conversion services, fabrication drawing, technical drawing, auto parts drawings etc. Advenser has extensive expertise and experience in providing assembly, casting, machining, and sheet metal drawings to manufacturers, engineers, fabricators and consultants. We ensure that the drawings are delivered as per the industry standards and appropriate formats & layouts as required by the client. We have a skilled and specialized mechanical drafting team headed by a senior project manager and experienced draftsmen to provide innovative and highly professional drafting services to all kinds of industrial, commercial and residential industries. We work in close contact with the client’s engineering team to ensure the client receive professional drawings with the highest accuracy.